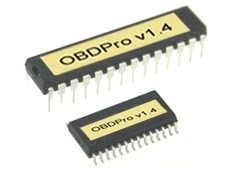 Now available - OBD 2007 software exclusively for OBDPro interfaces. 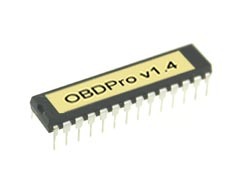 The OBDPro interpreter IC�s offers the world�s lowest cost OBD II interpreter IC�s. It provides more features than any other OBD II Interpreter IC�s including secure bootloader, advanced filtering capabilities, ability to send unsolicited messages and numerous other enhancements. 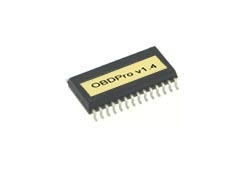 It also supports additional protocols such as J1939 and Single wire CAN, while maintaining pin compatibility with the ELM327 IC�s allowing for a simple drop in replacement in existing products. We can also help with your custom OBD II software development including providing support for additional custom features with turn around times of less than 2 weeks in most cases.